Gentlemen Welcome to Rajasthan Royals vs Delhi Daredevils 6th Indian Premier League Today Match Prediction of the 6th IPL Match between RR vs DD at Sawai Mansingh Stadium, Jaipur at 08:00 PM on 11.04.2018, Wednesday. It’s a 6th RR vs DD IPL match prediction between Delhi Daredevils vs Rajasthan Royals where DD captain Gautam Gambhir will lead the Delhi Daredevils . 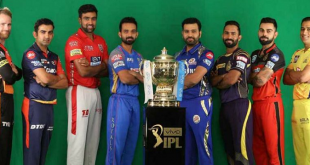 All VIVO Indian Premier League 2018 Match Prediction, Team Info is provided below. RR will be captained by Ajinkya Rahane who will lead RR in Rajasthan Royals vs Delhi Daredevils 6th Match of VIVO Indian Premier League 2018. The opening pair of Colin Munro and Gautam Gambhir is going to be the key for the Delhi Daredevils. On his day, Munro can be devastating and can bat the opposition out of the game while Gambhir who is coming on the back of a well-made fifty against the KXIP is a busy player and keeps the scoreboard ticking. New-ball bowling will rely mainly on the pace of Trent Boult who seems a top candidate for providing the early breakthroughs. Amit Mishra will be the Daredevils’ main weapon after the powerplay. The leg-spinner has taken the most wickets for the franchise and is second on the tournament’s wickets charts. Both RR and DD got off to a disappointing start at IPL 2018. While Rajasthan Royals were crushed by Sunrisers Hyderabad on Monday, Delhi was outclassed by a resilient KXIP in Mohali on Sunday. A lot was expected from Rajasthan Royals’ batting what with the likes of D’Arcy Short, Ben Stokes, Sanju Samson and skipper Ajinkya Rahane on the team. But apart from Samson, no one else really got into the groove as Rajasthan posted a below par total of 125 for nine against SRH. RR vs DD: Who will win the Rajasthan Royals vs Delhi Daredevils IPL 2018 game? Delhi have a much better balance to their squad than Rajasthan, especially with their bowling. Rajasthan will need to come up with a very specific gameplan to defeat Gambhir’s XI. Can they bounce back from the thumping they received? Ajinkya Rahane, D’Arcy Short, Ben Stokes and Jos Buttler form the core of the team’s batting. Short was one of the best batsmen in the 2017-18 Big Bash League while Stokes and Buttler can play the big shots and score at a brisk rate. Pacemen Jaydev Unadkat and Ben Laughlin are the key when it comes to bowling. The former was the second-highest wicket-taker in the previous season and the Royals will back him to do some early damage with the new ball.